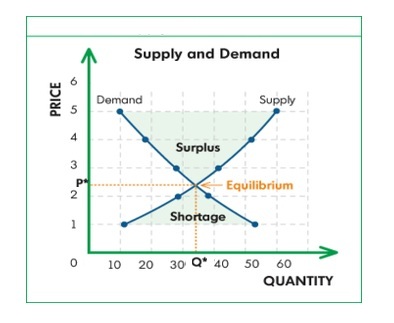 Supply And Demand – Supply And Demand Graph – Economics Graph – Supply and demand graphs depict the equilibrium between suppliers and consumers. The graph is an intersection of two curves mapped against quantity and price. The most famous economics framework of the supply demand equilibrium. Supply and Demand - this diagram visually depicts one of the common business frameworks, used by leaders to develop company strategy, tactics, models and approaches in an effort to enhance operations, marketing, develop new products and improve company competitive position.. This entry was posted in Finance, Functional Strategy and tagged economics graph, supply and demand, supply and demand analysis, supply and demand chart, supply and demand diagram, supply and demand equilibrium, supply and demand example, supply and demand explained, supply and demand graph, supply and demand methodology, supply demand economics, what is supply and demand by admin. Bookmark the permalink.